The UK's No 1 Injury Lawyers Blog - We publish everything related to peronal injury claims. Xarelto compensation settlements have been agreed in the sum of $775m (which is almost £600m) for some 25,000 cases being pursued in the U.S. The Injury Lawyers have been fighting for justice for UK users of the medication, that’s also known as Rivaroxaban. Although the settlement is for the U.S. only, we’re pleased to see it has happened. The settlement has been agreed without any admission of liability from the two companies behind the drug, Bayer AG and Johnson & Johnson. They reportedly maintain that the drug is fine for use and strongly deny the allegations that have been made against them. That includes previous allegations of a “cover-up” where important information was reportedly withheld from regulators. You may be able to make a claim for personal injury compensation if you’re suffering with elbow implant problems. If they’re related to the recent Stryker recall, there may also be a case to make. When a medical implant or device fails, a patient can be left suffering with severe complications. There may be a need for revision surgery and lengthy treatment to correct any additional issues. As a law firm, we have a lot of experience fighting for the rights of people affected by medical implant recalls and problems. 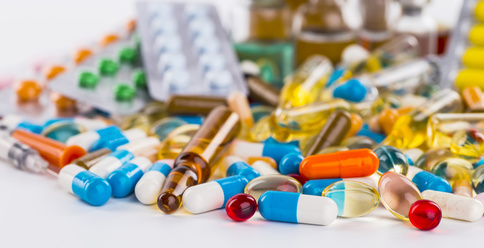 The Stryker recall initiated from the MHRA (Medicines and Healthcare products Regulatory Agency) came into force in February 2019. Affected devices – rHead Radial Head and the Uni-Elbow prosthesis – are to be quarantined and no longer used. If you need TVT mesh claims advice today, we can help you. We offer No Win, No Fee arrangements for vaginal mesh claims, and we can offer you free, no-obligation advice. Here at The Injury Lawyers, we pride ourselves on the fact that we’re way more accessible than many other law firms. We’re open from 9am to 10PM during the week on most weekdays, and we’re open 9am to 5pm on weekends too. That applies for most of the year, and it means that you can normally get advice on the same day you get in touch with us, depending on the times and dates. For TVT mesh claims, this can be incredibly important. Here’s why. If you need legal advice about NHS breast screening problems, we can help. We can take medical negligence cases forward on a No Win, No Fee basis. There can be a number of ways in which you can end up suffering as a result of NHS breast screening problems. There was the huge 2018 breast cancer screening scandal that affected almost half a million women in the UK and may have led to hundreds of deaths. We’re actually already running a legal action for victims of that particular issue, so if you were affected by it, please get in touch. We can also look into other breast screening claims as well for individual compensation claims. If you’re one of the over 170,000 people reportedly suffering with hernia mesh complications, we may be able to help you with legal advice and representation. Some research has put the number of people who end up suffering with hernia mesh problems as high as 30%. This is a huge number of people, and as a result of concerns over the use of the devices, we have launched legal action for a number of patients who have come forward and asked for our help. For those who are eligible, we can act for our clients on a No Win, No Fee basis. If you need help and advice for hernia mesh claims in the UK, we may be able to offer you No Win, No Fee legal representation. We’re a real law firm who are already representing a number of victims for hernia mesh claims. You may be entitled to claim compensation if you are having problems having had mesh fitted to correct a hernia. The numbers of people coming forward for help after suffering problems appear to be on the rise, so don’t suffer in silence. You may be able to claim personal injury compensation as part of the legal action we’ve launched. You can get started with a vaginal mesh lawsuit today, and it’s quick and easy to do. We also offer No Win, No Fee arrangements for clients who fit our criteria as well. A vaginal mesh lawsuit can be complicated. We want to be honest with you. Although there has been recalls and widescale success in the US, the UK hasn’t acted in the same way. It took a long time for regulators to accept that something needed to be done. Only last year did the NHS finally put a widespread pause on the use of vaginal mesh, pending further investigation. But for the victims suffering, we’re here for you. If your case is one that we can take forward, we’re prepared to help you now.